I was hoping to come away from Cartoon Network Amazone water park with some spectacular action shots of the rides. I must confess I was disappointed with my efforts, but there’s more to Cartoon Network Amazone than breathtaking rides. I’m quite sure these girls are representations of the Cartoon Network Powderpuff Girls, in which case, I’m now their biggest fan. 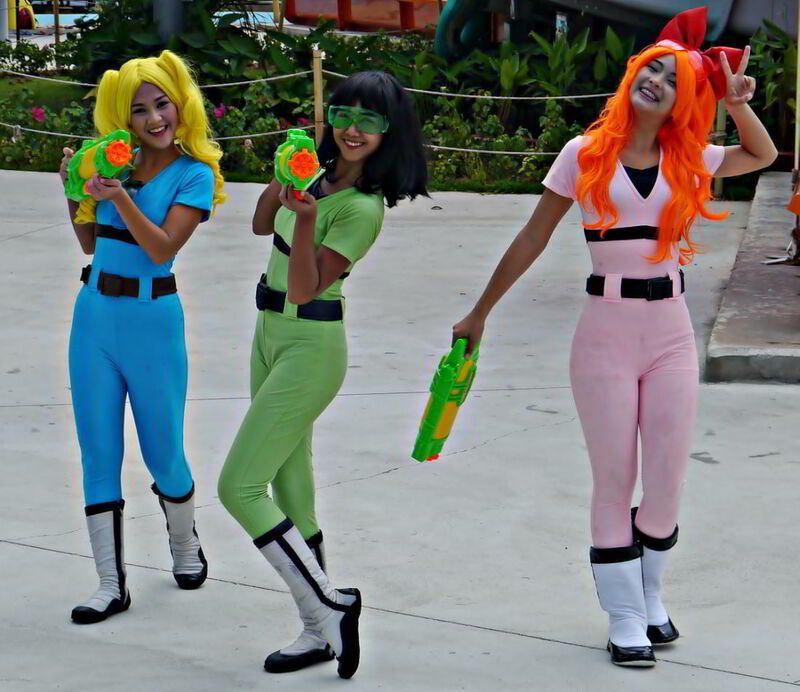 Cartoon Network Amazone, the sexiest water park in Pattaya.